Having your dog, cat, or other pet vaccinated each year is an important part of responsible pet care. Animal vaccinations are an easy, inexpensive, and effective way to help your pets live long, healthy lives. Vaccines work by preventing some of the most common diseases that are known to sicken or kill dogs and cats. Our pet care specialists recommend some vaccines for all pets and other vaccines depending on a pet’s lifestyle. Some pet vaccines are given annually, others require boosters, and some are spaced out at three-year intervals. Puppies and kittens require a round of vaccines that may not have to be repeated in older dogs or cats (learn more about vet care for puppies here, and about vet care for kittens here). It’s important to talk to our veterinarians about the right course of animal vaccinations for your pets. 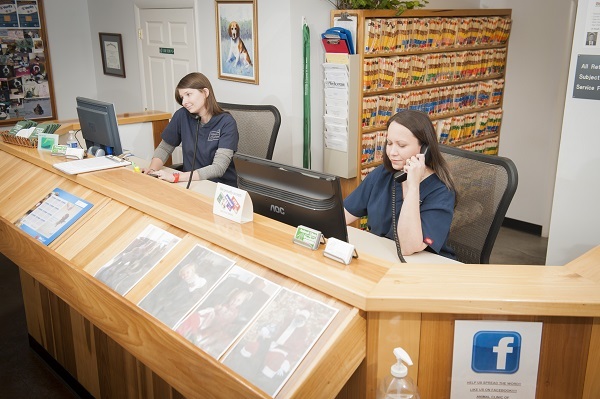 Additionally, our veterinarians and our pet care specialists at Animal Clinic of Woodruff may prescribe regular medicines that, like vaccines, help prevent pet disease. For example, regular heartworm treatment, usually given in a tablet or pill once per month, prevents heartworm (a parasitic roundworm). Heartworm treatments can be combined with flea and tick prevention treatments to make it even easier to proactively care for your dogs and cats. To schedule an animal exam, receive pet vaccinations, or begin other veterinary preventative care treatments, call Animal Clinic of Woodruff today at 864.576.9800. If you’ve recently adopted a puppy or kitten, please call our office to schedule an exam right away so we can check the animal’s health and administer the first important round of vaccines.